Kilauea, at the Fire Pit, home of the Godess Pele, is where I first experienced “kahiko” or ancient hula. In 1983 I witnessed an array of descriptive chants accompanied by hula, recounting the stories of centuries of Pele’s history and linage. 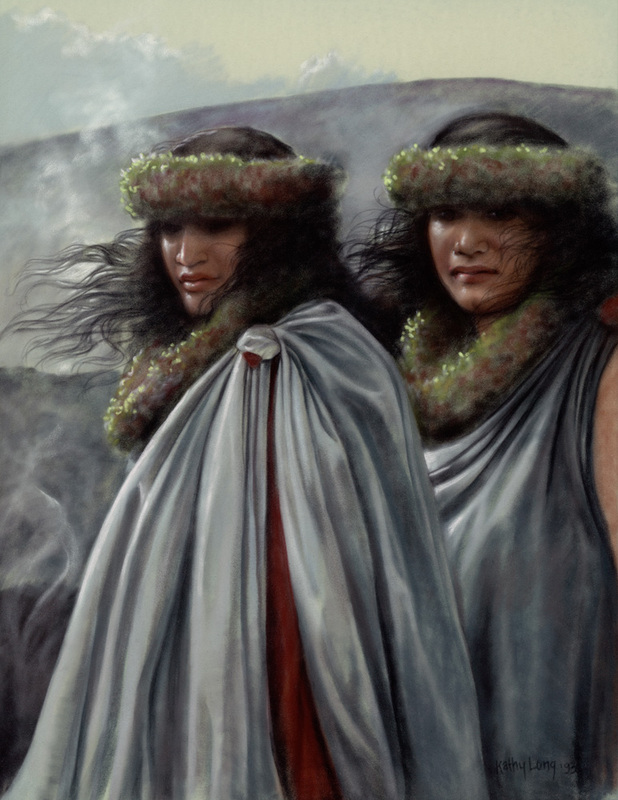 Afterwards the “kumu hula”, the Kanakaole sisters, stood at the caldera’s edge, smoke and mist tangling their hair, looking at home in this awesome place, as if they were part of the landscape that is Kilauea. 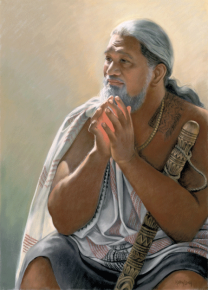 It was this experience that lead me to start painting the Hawaiian culture. 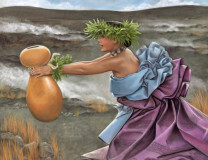 Kilauea, at the Fire Pit, home of the Godess Pele, is where I first experienced “kahiko” or ancient hula. In 1983 I witnessed an array of descriptive chants accompanied by hula, recounting the stories of centuries of Pele’s history and linage. Afterwards the “kumu hula”, the Kanaka’ole sisters, stood at the caldera’s edge, smoke and mist tangling their hair, looking at home in this awesome place, as if they were part of the landscape that is Kilauea. 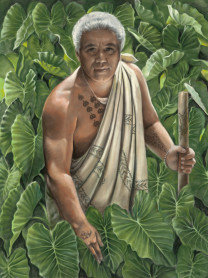 It was this experience that lead me to start painting the Hawaiian culture.